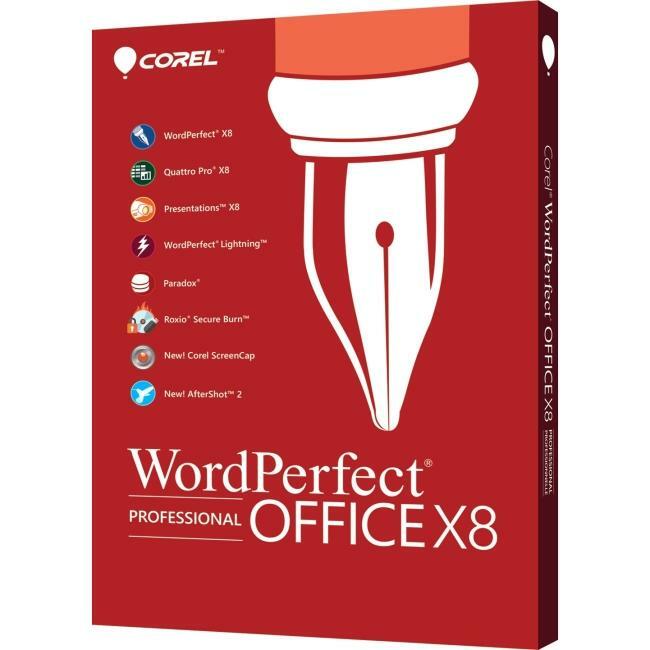 Corel® WordPerfect® Office X8 - Professional Edition is the preferred office leader for delivering effective documents, presentations, spreadsheets and more. Get impressive results using the enhanced Reveal Codes feature, Template Previews, built-in PDF forms and the Paradox database management system. Take advantage of the user-suggested enhancements to streamline your most important workflow needs and enjoy support for over 60 file types, including the latest Microsoft Office formats. Choose the affordable and powerful solution to be successful in any office environment.